Some manufacturers offer ‘diversity receivers’ with two antenna connections , which has ONE RF receiver amplifier section communally known as (antenna switching diversity). Though the receiver displays two antennas the fact is the signal is switched between the antennas using one RF amplifier. With this short coming, there is often an audible “click or dropout” with the recorded signal, the reason for this is. one RF receiver amplifier cannot precisely determine a multi path signal arriving at the receiver antennas at the same time. As a result; the signal is momentarily interrupted during the switching process between two antennas. 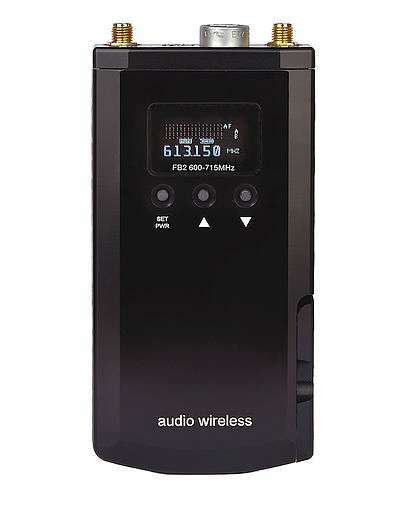 With a “True Space Diversity Receiver” there are TWO RF amplifier sections which are monitored at high medium and low signals on both receivers RF amplifiers sections and the audio is switched to the best received signal to ensure seamless audio performance is achieved without clicks on the recorded signal. Please consider our Radio Microphone as we only promote and sell True Space Diversity Radio Microphone.